While I am at it, BIG THANKYOU too to our lovely, very hard working Miss Emma who always goes beyond the call of duty, is always smiling, can shop harder and longer than any of us, owns more pairs of shoes than me and is just a sheer delight to be with. Thanks for bringing such sunshine and dedication into our studio. Your routines are looking awesome. A big thank you to one of our unsung studio heroes ( hey actually we have a few.) Miss Rachel taught today in Orange as Miss Leesa's Grandma is sadly not well. Stepping Out is thinking of you all. Rachel at the very last minute saved the day and did a fantastic job with Tuesday classes. Thankyou!! Also, Rachel has been working with Dee & Gabby and she just couldn't be prouder of the girl's achievements. 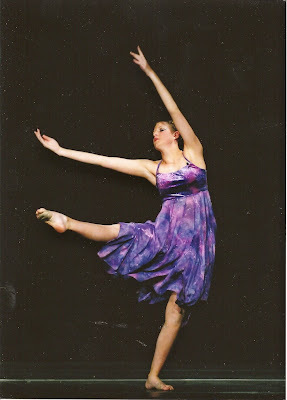 Another shining example of our motto, "Dancing with your feet is one thing but dancing with your heart another." I've got a great photo of Rach in full flight mid jete'. I will post it when I track it down. * Sunday, 14th December- YAY- Our big TRIBUTE TO STAGE & SCREEN. Tickets go on sale on November 17th through Ticketek. I have heard from faculty that the Concert is going to be amazing! Hi Everyone, Notes going home next week with all the info for our busy few weeks leading up to Concert. Until now, here are some important dates! SUNDAY, 30th November Stagecraft Rehearsal - Wesley Hall, ( times available for each group in note next week.) Costume Collection will also be on this date. THURSDAY, 4th December- Day 1 of Dress Rehearsals- Dubbo Civic Centre ( times will be given to each group.) Professional photography taken on this day. FRIDAY, 5th December- Day 2 of Dress Rehearsals- Dubbo Civic Centre ( times required for each group will be supplied.) Professional photography taken on this day. YAY!! SATURDAY, 6th DECEMBER- THE BIG DAY!! Rehearsals are going so well everyone- it's going to be a fantastic day! So, get ready for information overload, notes will be sent home in next few weeks outlining timetable for stagecraft and dress rehearsal. 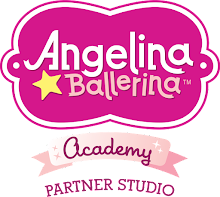 You will also receive information about Hair & Make up, costume balances & Concert Day Organisation. THE COUNTDOWN BEGINS!! Paris Burns has enjoyed the most phenomenal year with her Solo Work. She capped off her successful 2008 with stunning performances at Wellington Dance Festival. Paris won all sections she entered, receiving 1st for her Contemporary and Modern solos. 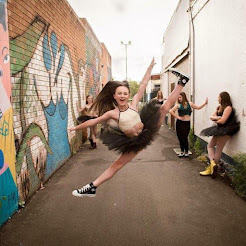 Paris danced her "Across the Universe "routine ( she has been undefeated in this routine gaining firsts at Gulgong, Dubbo, Cowra, Orange, Wellington Eisteddfod and Wellington Festival.) Paris won the TALENT AWARD for this routine. Congratulations!! Wow! If it wasn't enough that you were serenaded by Mickey & Friends for your 13th Birthday, I heard today that you did an incredible job of your Modern Solo and received 3rd place at the recent Wellington Dance Festival! Congratulations Gabby Gough! Way to go- I knew Disneyland was going to prove truly inspirational! Fantastic news!We are so proud of you! You have come so far this year- another awesome effort for your first year of solo competition. Congratulations to Dee Larkin from Orange for her beautiful performance at the Wellington Dance Festival. Dee received 2nd place and we were all so thrilled and proud of you! An awesome first year of solo competition.